Choose a name for your blog and register a domain. Pick a reliable web host. Create a list of potential article ideas. Set up any plugins you might need. These days, you can easily start a blog about any topic you like. However, there are few subjects as interesting as travel. Just about everyone loves to take a nice trip, check out glamorous location pictures, and read about exotic places. However, learning how to start a travel blog involves a few key tasks (at least if you want to do it right). We have a lot of ground to cover, and you’re probably itching to learn how to start a travel blog. So let’s get to it! The first thing any blog needs is a name, and yours is no exception. Buying a domain name is a highly personal process. However, there are a few tips that apply to pretty much all types of websites. Stick with shorter names whenever possible. Shorter names are easier to remember, are less work to type, and often sound catchier. Choose a name with a .com domain available. We’ll talk more about how to register your domain in a minute. For now, suffice it to say that you should check any potential name to see if there’s a .com extension available for it. Pick a name that represents your blog’s content. In most cases, you’ll want the name of your blog to represent the type of content you’re going to publish. It pays to be as specific as possible. “The Budget Traveler” is a clearer and more useful name than “John Doe’s Travel Blog”, for example (unless you’re famous!). You probably have a lot of good name ideas already, so go ahead and write them down in a list. Then check to see if there are .com domains available for them. You can use other Top-Level Domain (TLD) options, but people still tend to trust .com sites more, so we recommend that you play it safe. You just need to type in the domain you want to buy, and the checker will tell you if it’s available. The next step is to add the domain you want to your cart and pay for it. In most cases, a .com domain name will only set you back around $10. Once you purchase it, the domain is yours, but you’ll have to renew it every year to maintain ownership. Most registrars or web hosts will let you know well in advance when your domain renewal is coming up, however, so don’t worry about forgetting it! Now that you have a domain name ready to go, it’s time to talk about hosting. When learning how to start a travel blog, a lot of people get stuck trying to find the perfect web host. The good news is that web hosting is now so competitive that you should be able to find an excellent provider, even if you’re on a tight budget. A broad range of plans. Ideally, your web host will provide you with accessible starter plans. In addition, it should offer plenty of upgrade options for when your travel blog grows. Top-notch performance and uptime. Your website needs to be accessible at all times, and it has to load fast. That means you’ll want to stick with web hosts that have a reputation for rock-solid performance. Quality-of-life features. These days, most top-notch web hosts will offer plenty of features to make your life easier. We’re talking about automated backups, website builders, user-friendly control panels, and so on. If you have any friends who run their own websites, ask them which web host they use and whether they’re happy with the service. 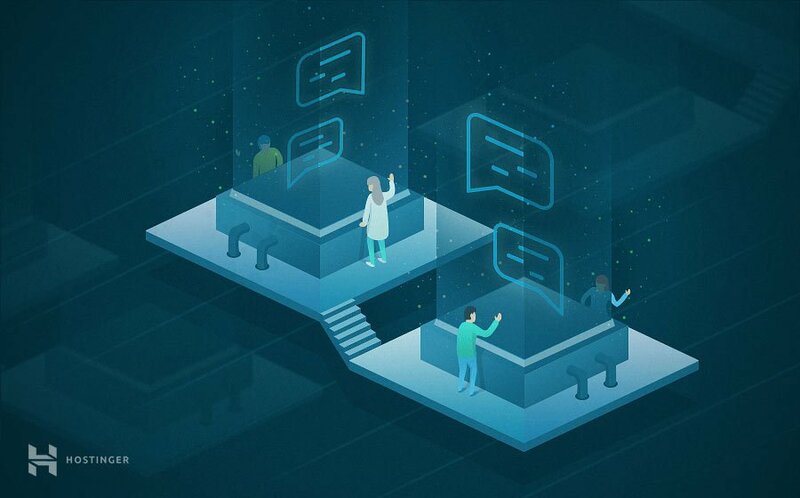 If you don’t know where to start, however, we’d recommend checking out our entry-level shared hosting plans, which include a free domain registration if purchased annually. Since you’re learning how to start a travel blog from scratch, there’s no need to invest in an expensive hosting plan from the get-go. Our shared hosting tier is more than capable of handling a decent amount of traffic. Plus, you can always upgrade to something more robust, such as a business hosting, once your travel blog becomes popular. Finally, you’re probably going to spend a lot of time moving between exotic locales. So it’s essential that you pick a web host with an excellent customer support service that works around the clock. That way, they’ll be able to help you sort out any issues with your site, regardless of what time zone you’re currently blogging from. At this point, you have a domain name and a web host in place for your travel blog. Now, before you get to work on building it, we recommend that you sit down and brainstorm a few potential topic ideas. This way, you can hit the ground running once you finish learning how to start a travel blog. One thing that often happens when someone starts a new blog is that they’ll get stuck in the ‘building’ phase, and never sit down to actually write. Others will publish an article or two on their travel blogs, then stop updating regularly. However, if you have a list of ideas you want to tackle in place beforehand, you’re more likely to work your way through that initial slump. Additionally, this brainstorming process will also help you decide which direction you want to take your blog in. Do you want to focus on budget or luxury travel? Will you talk about specific regions of the world, or provide advice for digital nomads? You probably already have an idea of the angles you want to tackle, but this process will help you refine your ideas. What are the latest trips you’ve been on, and what made them special? Is there anything you’d wish you’d known about the places you went to before you got there? Do you have any upcoming trips, and if so, how are you planning for them? Can you share any special tips about places to stay, how to make the most out of your budget, or similar insider knowledge? Travel blogs enable you to write about all sorts of fun topics. That means you don’t need to pigeonhole yourself when it comes to cooking up new topic ideas. It’s a good idea to have a general focus when deciding how to start a travel blog, but that doesn’t mean you can’t branch out from time to time. For now, make a list of all the ideas that come to mind for blog posts you could write. Then, check out what other blogs in your niche are talking about, and see if you can offer a new spin on some of their topics or write better-researched articles. When it comes to travel blogs, people expect you to know what you’re talking about. Therefore, experience and research are going to be your best allies. At this stage, you don’t need to flesh out your topic ideas beyond a title and a couple of lines each. Before you sit down and start writing, let’s keep talking about how to start a travel blog. As you may know, there are a lot of software options that make creating and managing a blog possible, even if you don’t have any experience in web development. This type of platform is called a Content Management System (CMS), and you have plenty of free software to choose from. Drupal is another option, which has a reputation for being highly scalable. This means it can deal with both small travel blogs and massive ones that get thousands of visitors. Your web host will still play a significant role in how much traffic you can handle, though, so keep that in mind. Aside from ease of use, WordPress offers more customization options than nearly any other CMS. You have thousands of free plugins and themes to choose from, for example, as well as plenty of premium options. If you’re a regular reader, you know that we’re big fans of WordPress. In fact, the Hostinger blog runs on WordPress, and this article was written using its editor. With the right combination of plugins and theme, you can provide your visitors with nearly any web experience you can think of. If you just want to run a simple travel blog, you can do that easily. However, with WordPress, you can also enable visitors to book trips through your website, check out flight itineraries, and more (we’ll talk more about these features shortly). For the rest of this tutorial, we’re going to focus on WordPress as the platform of choice when deciding how to start a travel blog. If you want to follow along, go ahead and set it up through your web host now. If you’re not sure how to do that, check out your hosting provider’s documentation for help. 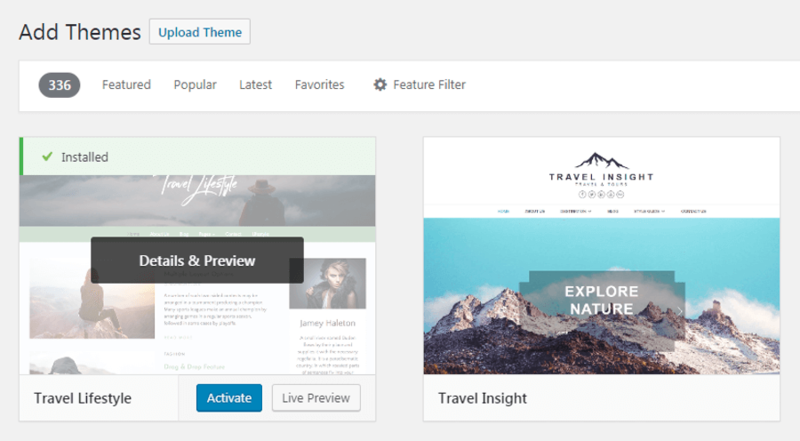 Once you have WordPress set up, the next thing you’ll want to do is choose a theme for your site. 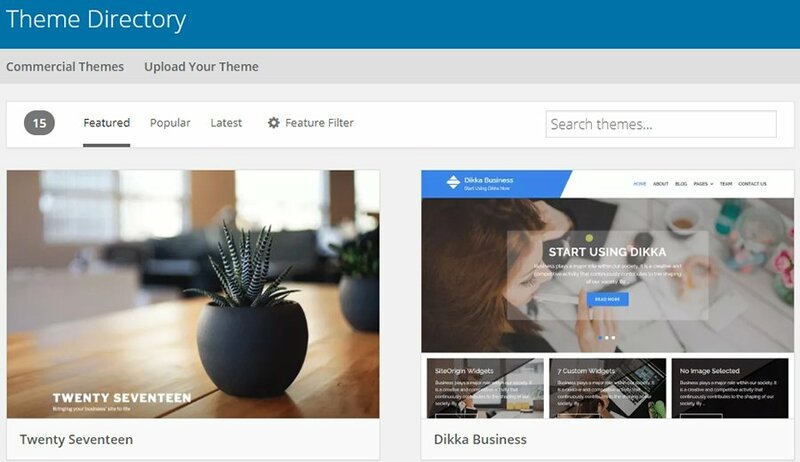 In case you don’t know, WordPress themes are templates that customize your website’s look and layout. These themes are pretty basic, however, so you’ll probably want to look for other possibilities. In fact, there are even travel-specific themes you can use. There are a lot of great-looking options to choose from. However, you shouldn’t decide which theme to use based on looks alone. If everything goes right, you’ll be using the same theme for years to come. Therefore, you need to be very picky. Multiple positive reviews. We usually like to see at least ten reviews with an average score of over four (out of five) before we even consider using a theme. Recent updates. You should never use a theme that hasn’t been updated for more than a few months. 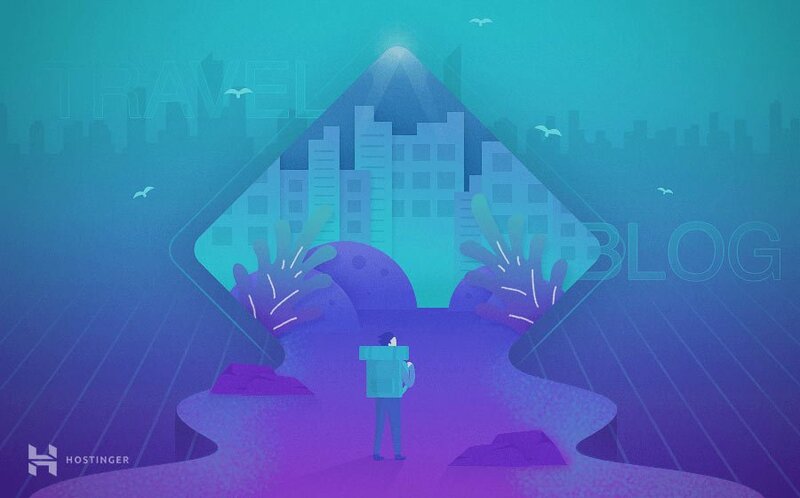 It might be abandoned, and outdated themes can lead to security issues on your blog. Basic documentation. Ideally, whichever theme you pick should provide you with at least some basic documentation. This will help get you up to speed on its features and how to use it. Since we’re talking about travel themes in particular, you’ll also want to stick with options that were built with that niche in mind. Select this as well, and the theme will be fully set up on your site! If you check your site out on the front end, it should now look entirely different. Of course, you can also customize your travel blog to fit your particular vision. How you do this (and what options are available) will depend on the theme you’ve chosen. A good place to begin, however, is with the WordPress Customizer. Before we move on, keep in mind that you don’t necessarily have to stick to free themes when deciding how to start a travel blog. There are plenty of premium options as well, and they sometimes include a lot more features than their free counterparts. 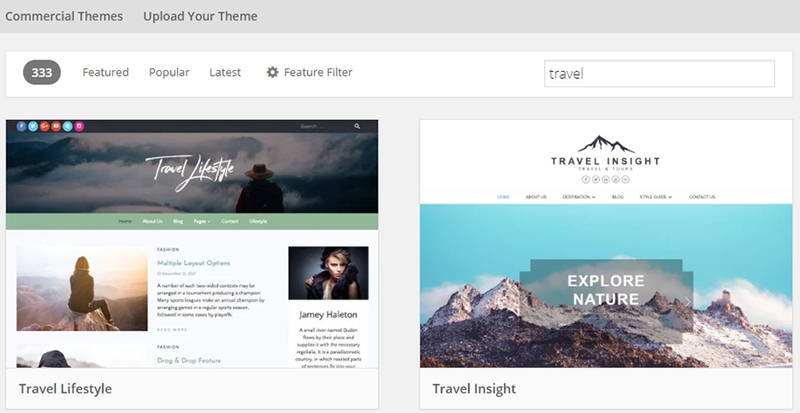 WordPress travel themes are a very popular niche, so you’ll have your pick. Two solid options to get you started are Trendy Travel and Travel Tour, although we encourage you to do your own research and find the best theme for your needs. There’s only one step left in learning how to start a travel blog. Before you can get to work on your first article, you’ll want to set up any plugins you think you may need. WordPress plugins are simple extensions that add new features to the platform. So, for example, let’s say you’re writing about a recent trip you took. You could put together a package that highlights the places where you stayed and show it off on your website, so your readers can share the experience. With this plugin, you can help your visitors find cheap flights and hotels. If they make a booking, you’ll even get a commission from those services. We could go on and on about potential plugins, but let’s get back to talking about how to start a travel blog. Once you have a few plugins in mind, you’ll need to install them. To do that, you can simply use the Plugins > Add New tab. Then wait for that button to transform into one labelled Activate, and click on it once more. Your plugin will now be ready to go. Once you’re happy with your selection of plugins, you can go ahead and get to work on publishing your first post. 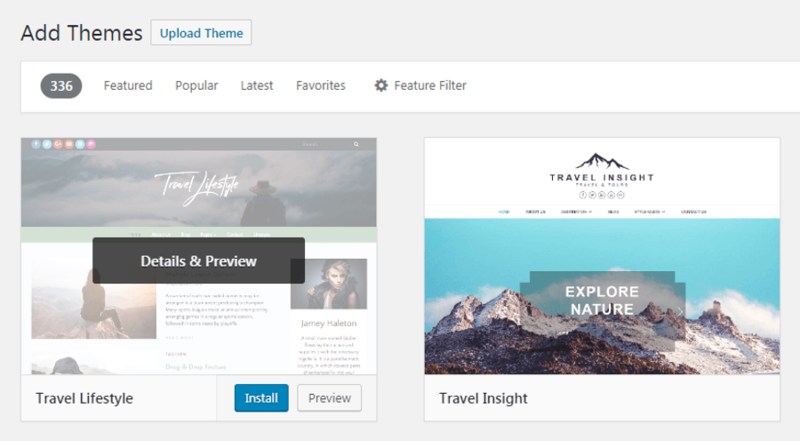 Your WordPress travel blog is now fully up and running! Running a successful travel blog and getting companies to pay for your trips is a dream worth chasing. However, there’s a lot of work to be done behind the scenes when learning how to start a travel blog. For example, you have to choose a name for your blog, register a domain, find a web host, and pick a platform. That’s all before you even begin writing, so you’d best get to work right away. Do you have any questions about how to start a travel blog using WordPress? Let’s talk about them in the comments section below!